Told with the immediacy of a diary, which is where the book began, Patrick takes us on a journey to the highest mountain in the world, where one of the greatest tragedies in climbing history was about to unfold. Filled with photographs and sketches from his notebooks we become part of the Radio 702 team sent to cover the South African Everest Expedition of 1996. It would turn out to be the deadliest climbing seasons in the peak’s history. Twenty years later the controversy around what truly happened on the mountain continues to rage. Conroy kept a meticulous diary and recorded many hours of radio communications between the climbers. Now, two decades later, his memoirs reveal a remarkable and untold story of what happened on the mountain that fateful year. 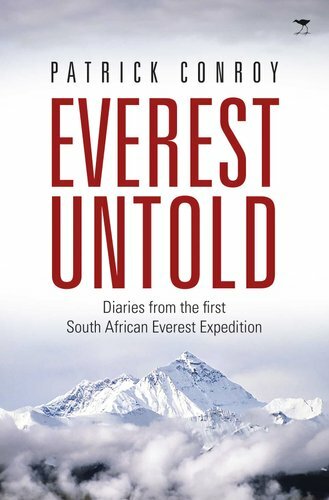 Everest Untold includes hidden insights and never before revealed transcripts that shed new light on the 1996 disaster, including the mysterious disappearance of one of the South African team members in the death zone. 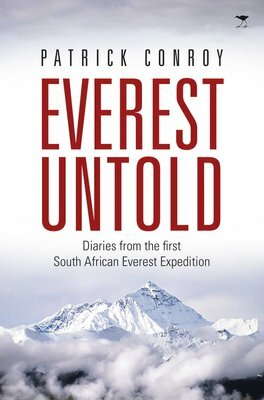 Conroy’s hidden story reopens the debate on the risks of high-altitude mountaineering and what it meant to a young democratic South Africa unaware of the dangers that lay ahead.